Nursing isn’t easy. It isn’t all pillow fluffing, injection giving and comforting people when they’re sick. It isn’t glamorous like on television. There aren’t always attractive physicians or flirtatious co-workers. Scrubs get dirty, hair gets messy and things get ugly. Sometimes you find yourself doing something you never expected you’d do. You don’t drive in to work every day knowing what’s going to happen. That’s the beauty of nursing and why so many people choose this career. But sometimes those things you find yourself doing are hard. And sometimes they put your entire life into perspective. One night will always stick out in my mind when I think of the gut-wrenching moments I’ve experienced as a nurse. A simple offer to help a co-worker ended up being a long lasting event that left me sad in a way I had never experienced. It was the middle of the night in an urban emergency department, room 32, in the lonely hallway near the EMS doors. A co-worker was getting a new patient via squad – an elderly woman from a nursing home. I offered to help my fellow nurse check the patient in and get her settled. The woman was suspected of having a serious infection but had dementia and was unable to meaningfully communicate with us. The only information we had was what the nursing home had given us in report, which was not much. What we did see is that the patient had a DNR-CC (do not resuscitate, comfort care) order. As we began to check the woman in and gather information, we immediately noticed this patient wasn’t doing as well as the nursing home made it seem. The doctor was called to the room, and he began to order some standard tasks for a sick patient, which included things like an invasive urinary catheter. Vividly, as if I’m back in that moment, I remember standing in that room saying that I wasn’t going to be the one to put that catheter in. This woman was dying, and I wouldn’t be part of her last experiences on earth having a tube inserted in her when she couldn’t even understand what was happening. Clinically, I understood it. The catheter would allow us to obtain a urine sample to test for infection as well as accurately measure her output (or lack thereof.) I know the doctor was doing his job and attempting to diagnose this patient to the best of his ability, but I couldn’t do it. We knew what was happening and there was nothing we could do to stop it. The doctor eventually agreed that because of the status of her condition, and with the DNR-CC order, these tasks weren’t going to save her. This woman was going to die. Our job was to make her comfortable. It then occurred to my co-worker and I that this woman had no one with her. There was no family listed in the chart. No emergency contacts. We called the nursing home to verify this and let them know she probably wouldn’t be returning to them. Their lack of concern was startling. It became clear they had sent this woman to us to die. I decided then and there that I wasn’t leaving that room. I wouldn’t, couldn’t, let this woman die alone. A sense of raw compassion and sadness overwhelmed me, despite my rough, sometimes jaded, emergency nurse mentality. We spent the next hour or so with her, brushing her hair, holding her hand and talking to her. She wasn’t talking back but that was okay. We assumed she could hear us. We told her about ourselves, our families, and we tried to imagine what her life must have been like. We told her we would remain by her side and that it was okay to rest. She needed to know she wasn’t going through this alone. We turned off all the alarms that were telling us her heart rate was becoming irregular and slow. We silenced the machines. We brought her blankets and pillows. Her breathing eventually became shallow, but she did not struggle. She didn’t gasp for air or moan in pain. She closed her eyes and her heart rate continued to drop, then ceased. As emergency nurses, we’re trained to save people. It’s in our nature. Do whatever you can to keep them alive. People come to us when they’re broken, and we fix them. That night reminded us that we’re not invincible. We’re not gods. We can’t save them all. But most importantly, we were humbly reminded that no one should have to die alone. 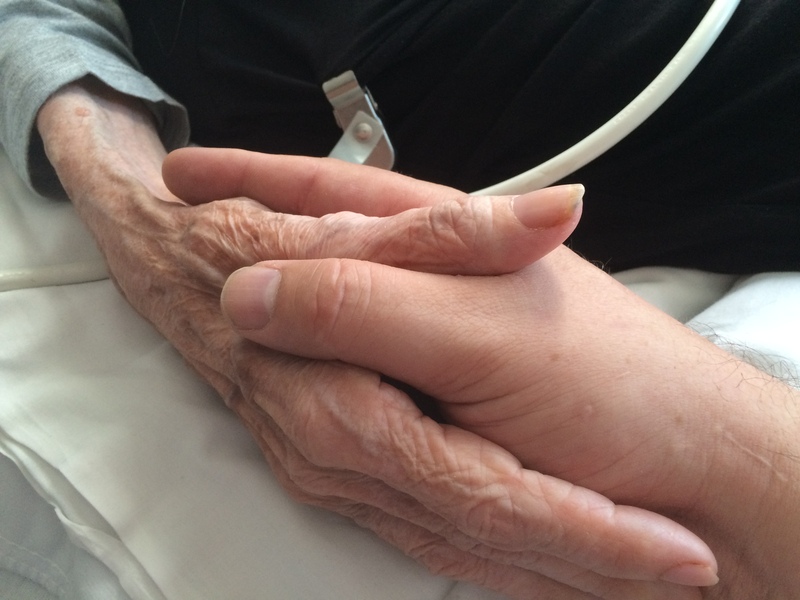 It is an incredible privilege to be with someone at the last moments of their life, one that is not given to many. To know that you prevented the ultimate lonely act of dying alone is an honor. And while I may not remember her name, I will never forget her face and that she did not die alone. I'm Jessica Dzubak, an Emergency Department nurse from central Ohio. I've been a nurse for about three years now. Emergency nursing has always been my goal, and I greatly enjoy working in an environment where I not only get to save lives but I never know what I'm going to see that day. I'm active in my state nursing association, working on the Council on Practice and writing for the quarterly magazine, Ohio Nurses Review. I love that I can combine my passion for writing with my nursing career, and I'm excited to share my writing with the nursing community. I'm currently working on my BSN and plan to attend graduate school for my MBA. I am happily married and have two fur-children.